Once upon a time in a beautiful rose garden there were four ladybug friends who flew among the leaves, exploring their sweet-smelling home. Although they loved the rosebushes, sometimes they wondered what lay beyond their world. Each ladybug had a different wing color with spots, Ella Yellow, Rickie Red, Tommy Teal, and Olivia Orange. Everybody knows and loves ladybugs. 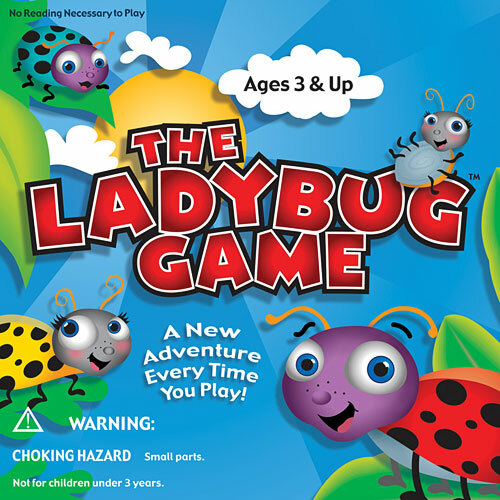 Kids will fall in love with the characters and memorize the story of The Ladybug Adventure as they learn to count and read. The Ladybug Game uses a clever combination of colors, numbers, words, and symbols to help even the youngest kids catch on quickly. Soon they will be playing on their own, again and again, as they encounter all the adventures, challenges, and characters in the garden including the Praying Mantis, the Aphids, and the three lazy Ants. 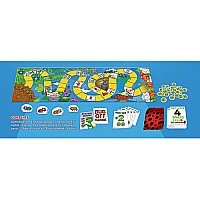 Features: Adorable graphics, easy play and no reading required make this award winner a perfect first board game. 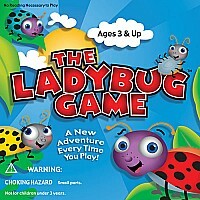 Interactive play stimulates learning and fun, with four ladybugs embarking on a different adventure every time. The winner is the first ladybug to find her or his way home. Recommended for ages 3 to 8. 2 or more players. Measures approximately: 2.00 x 10.50 x 10.50 inches..
Zobmondo You Gotta Be Kidding, The Crazy Game of Would You Rather for Kids.